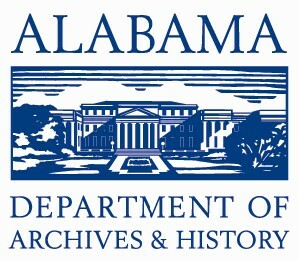 The Alabama Department of Archives & History,created in 1901, is the first state-funded, independent archival agency in the United States. Today, it continues its mission to tell the story of the people of Alabama as the state's official government-records repository, as a private-collections library, and as the home of the Museum of Alabama. "Glorious News. 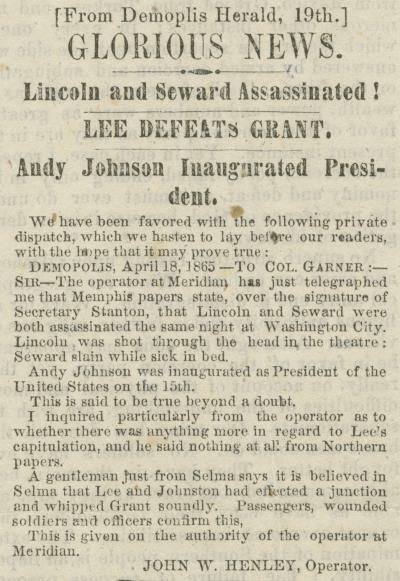 Lincoln and Seward Assassinated!" 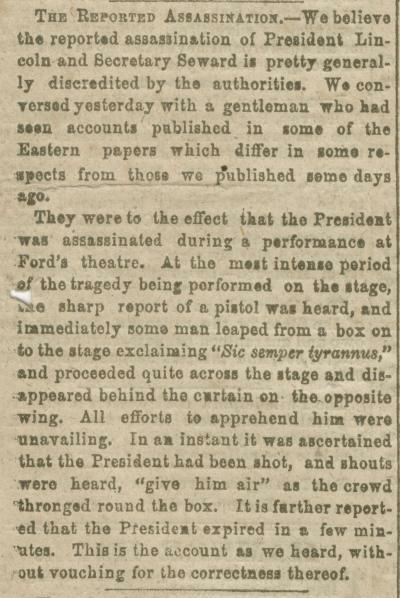 "More Particulars of the Tragedy at Washington"
"The Assassination of the President." 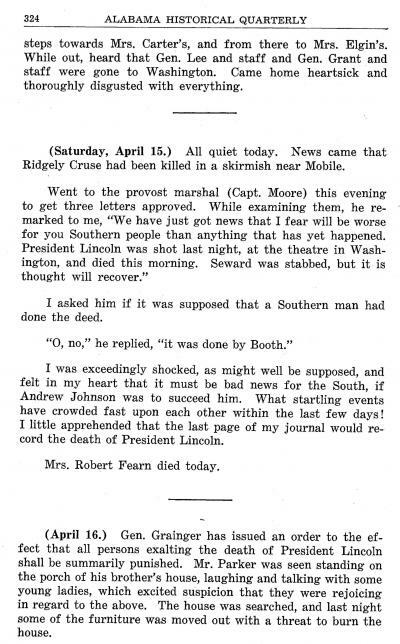 "The 'Loyal Southerners' Call on Mr. Johnson - His Address." 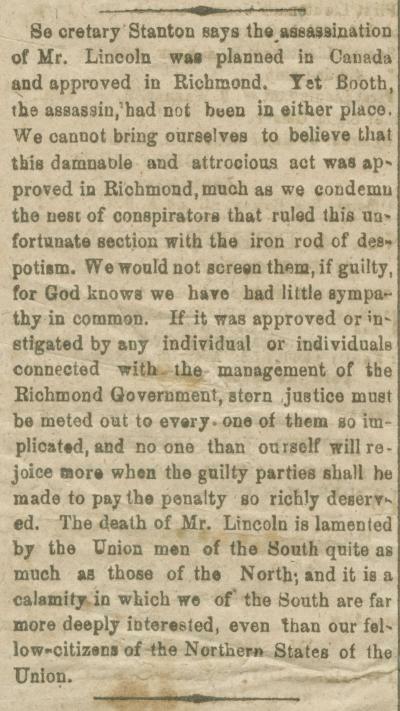 Editorial commenting on a rumor that "the assassination of Mr. Lincoln was planned in Canada and approved in Richmond." "Shall a Lenient Policy Be Continued?" 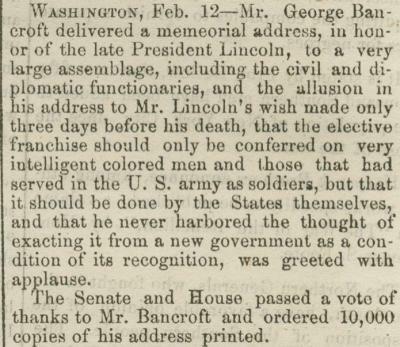 "Citizens' Meeting at Odd Fellows' Hall." 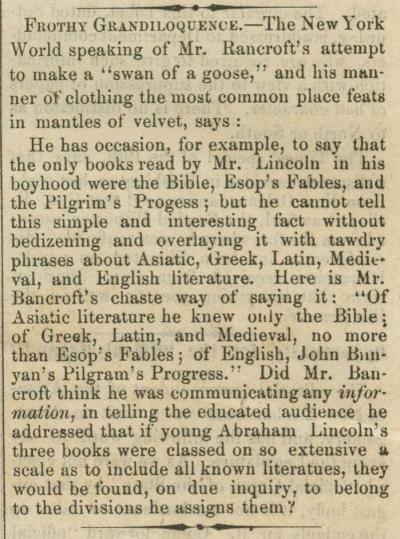 "Tone of the Eastern Press." 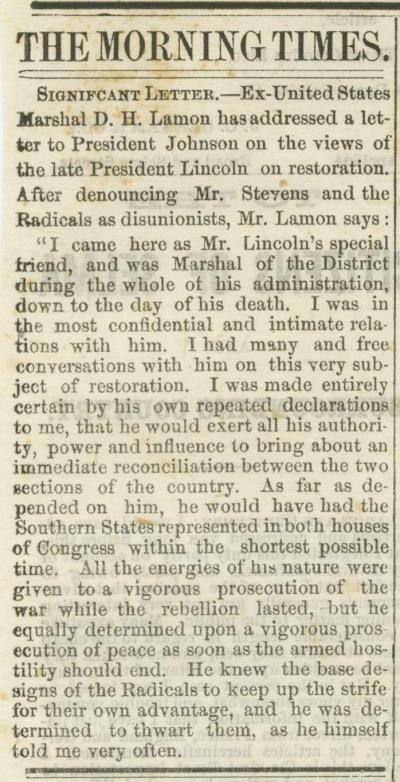 "Mr. Lincoln - Some Anecdotes of Him." 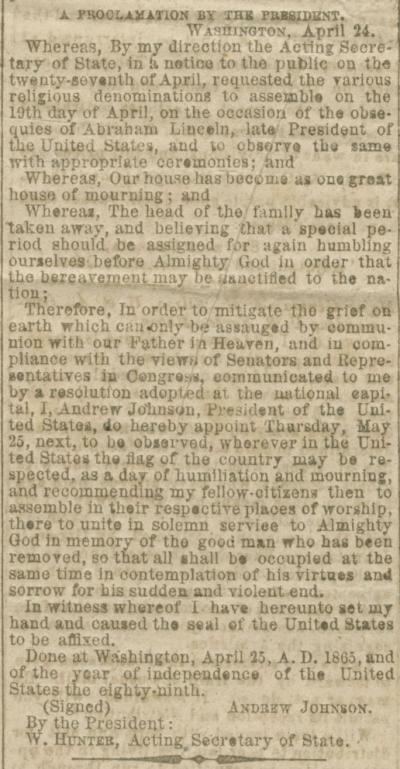 "Further Particulars of the Washington Tragedy." 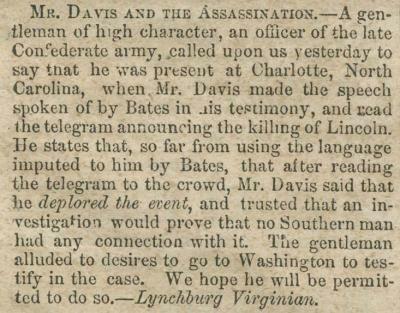 "Mr. Davis and the Assassination." 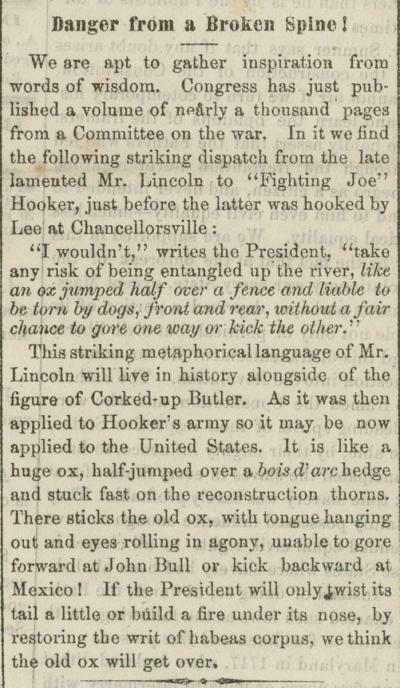 "The Murder of President Lincoln." "Danger from a Broken Spine!" 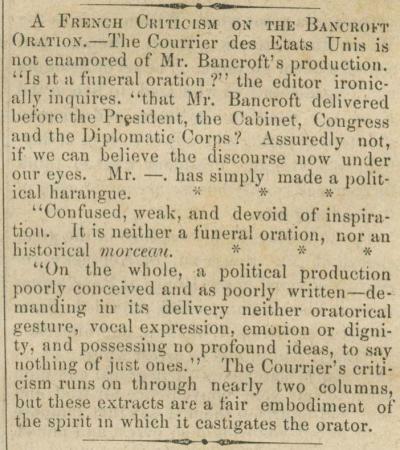 "A French Criticism on the Bancroft Oration." 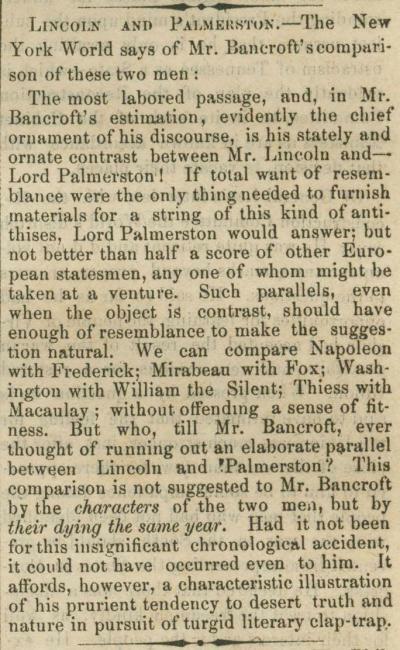 "Robert Lincoln - Gossip in High Life."